A rainbow forms over Byers Peak near Fraser, Colorado. 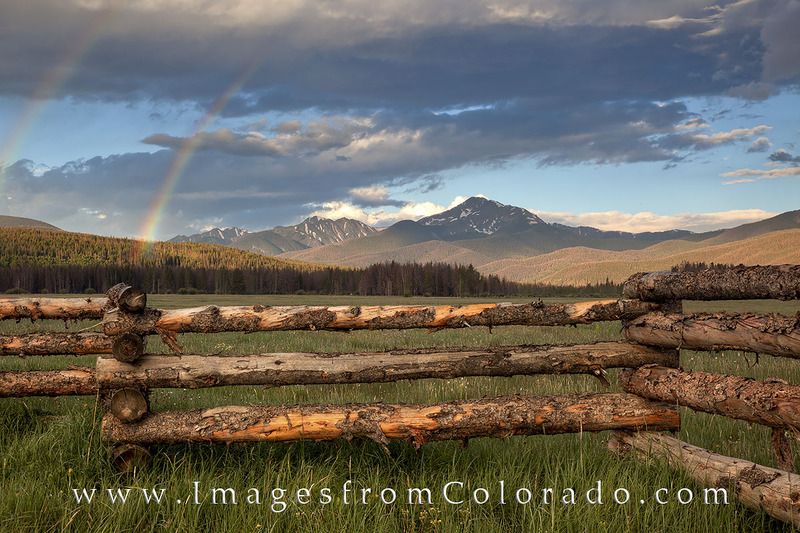 This old wooden fence seem the perfect foreground for this landscape photograph taken in the late morning of July day. Photo © copyright by Rob Greebon.